A couple of weekends ago, at the fabulous conference on the nature of belief at UC Santa Barbara, Elisabeth Camp said something that kind of bugged me. It wasn't her main point, and lots of philosophers say similar things, so I don't mean to criticize Camp specifically. Philosophers who say this sort of thing usually treat it as an obvious background assumption -- and in so doing, they reveal that they have a fundamentally different picture than I do of how the mind works. I'm not going to be able to quote Camp exactly, but the idea was roughly this: If you and I both believe that there's a gas station on the corner, then we believe exactly the same thing. That is, we believe that there is a gas station on the corner. Furthermore, this thing that we both believe is exactly the same thing that I convey to Nicholle when I then turn to her and say, while you nod, "There is a gas station on the corner." Of course, we might disagree about some related propositions. Maybe I think it's a Shell and you think it's a Chevron. Maybe I think that the corner is next to the freeway onramp and you think it's two blocks from the onramp. But still, we are in perfect agreement about the particular proposition that there is a gas station on the corner. Suppose that Nicholle is new to town and almost out of gas, and that's why the topic arose. Now, plausibly, I might almost as easily have said "There's a gas station over by the onramp" or "There's a Shell on the corner" or "There's a station -- maybe a Shell? -- just over that way [pointing]" or "I think you can get gas just down that road a bit" or.... Quite a few things, some of which you would have agreed with, some you would have disagreed with ("There's a Shell on the corner"), and still others that would have been awkward in your mouth but with which you might not have exactly disagreed (... "maybe a Shell"...). On one view of the mind and of communication -- the view that seems to me implicit in Camp's remark -- there's a fact of the matter exactly which propositions about this topic I believe and which I don't (and maybe which I have some intermediate credence in). All of the propositions that I might naturally have said (barring exaggeration, metaphor, misstep, etc.) are among the things I believe. Quite a large number! Somewhere on this large list is exactly the belief "there is a gas station on the corner"; and since that's what I ended up saying, that's the content I conveyed to Nicholle; and you, Nicholle, and I now share precisely this belief. One challenge for this picture, and maybe the first source of trouble, is determining which propositions should go on the "yes I believe it" list. It might have been inept of me, but not beyond the pale, to say "Probably there's either a Shell or a 76, like, near that big blue building and the colorful sign with the flowers or is it cactus, you know, after that underpass we took on the way into campus, I think, if you were with us then?" Is that among the propositions I believe? It gets even worse if we forget conversational pragmatics and focus simply on cognition or philosophy of mind. Do I believe that there's a gas station less than 1 mile away, and less than 1.1 miles away, and less than 1.2 miles away, and... closer than Los Angeles and closer than where Saul Kripke probably lives, and farther than the parking lot, and farther than where Brianna (or was it Jordy?) accidentally left her laptop.... It looks like the list of propositions that I believe might be infinite and difficult to determine the boundaries of. A second challenge is specifying the content of this proposition "there's a gas station on the corner" which you, Nicholle, and I supposedly all believe. Which states of affairs are such that this belief is true and which are such that it's false? What counts as a "gas station"? (What if there's a 7-11 with a single pump, or a single broken pump, or a single pump that is closed for construction, or a guy who illegally sells gas from a parked tanker truck?) 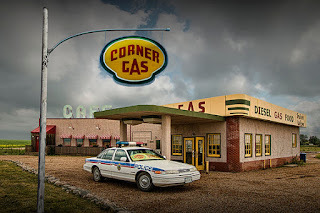 Which possible layouts of nearby streets are such that "the corner" determinately refers to the corner on which the gas station is located? (What if one of us is wrong about the direction of the corner relative to us and the freeway? 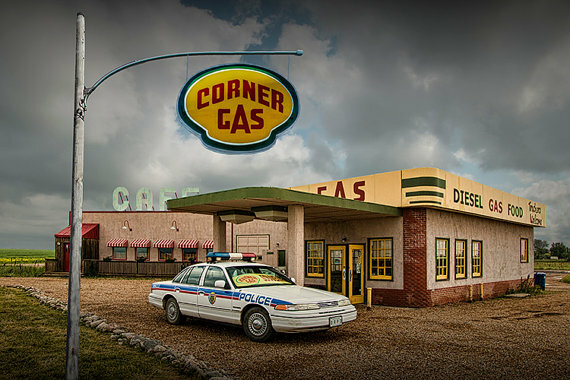 What if there are two gas stations and three corners?) If you, Nicholle, and I disagree about what would count as there being a gas station on the corner, do we not in fact have the same belief? Or do we still have exactly the same belief but we're somehow wrong in our understanding of its satisfaction conditions? A fine mess! Now I don't really mind messes. It's a messy world. But our messy world demands a messy philosophy of mind and a messy philosophy of language -- and the fundamental problem with the view I'm criticizing is that it demands cleanliness: You and I believe exactly these things and exactly not these others; belief contents are precise, and shared, and delivered in sentence-sized packages. So here's the alternative picture I prefer. You and I both have a wide range of dispositions to act, and reflect, and say things aloud to each other and silently to ourselves, concerning the presence or absence or location of that gas station or that Shell or whatever it is. For example, I'm disposed not to worry about whether it's possible to get gas nearby if the question arises; I feel like I know there's gas nearby. Also, I'm disposed to say "yes" if someone asks if there's a Shell around. If I wanted gas, I would drive a certain direction, and I'd feel surprise if it turned out badly. I'm disposed to form certain visual imagery if asked about nearby gas stations, etc., etc. You have a partially overlapping, partially divergent set of dispositions. Like me, you are disposed to drive roughly that direction if you want to get gas; unlike me, you'd be surprised by the Shell sign. Of course, I can't convey to Nicholle in three seconds this whole chaotic tangle which constitutes my belief state concerning that Shell station -- so I choose some simplification of it to put into words, pragmatically focused on what I think is the most relevant thing: "There's a gas station on the corner". This isn't *exactly* what I believe. Exactly what I believe is immensely complex, maybe infinitely so, and certainly beyond my ability to shape into a shareable linguistic package. You and I "share" the belief about the gas station in roughly the same way you and I might both share a personality trait. Maybe we're both extraverted. But of course the exact shape of our extraversion differs in detail: We'd say yes to a somewhat different range of party invitations, we'd be gregarious and talkative in somewhat different ranges of situations. To say we're both "extraverted" is blunt tool to get at a much more complex phenomenon beneath; but good enough for practical purposes, if we don't care about a high degree of precision. Elisabeth Camp and I had an email exchange about this post, which with her permission I've added to The Underblog here. "A Dispositional Approach to Attitudes: Thinking Outside of the Belief Box", in N. Nottelmann, ed., New Essays on Belief (Palgrave, 2013). "A Phenomenal, Dispositional Account of Belief", Nous, 36 (2002) 249-275. Thanks for this nice post, Eric; I'm about to revise a dissertation chapter on the exact same topic! I think you're a bit too quick to reject Liz's claim that "if you and I both believe that there's a gas station on the corner, then we believe exactly the same thing" (though perhaps not too quick to reject her further claim that "this thing that we both believe is exactly the same thing that I convey to Nicholle"). On your variety of dispositionalism (which I more-or-less endorse), there is a precise sense in which you and I both believe that there's a gas station on the corner, and a precise sense in which we're both extraverted: we both sufficiently fit the exact same general-purpose dispositional stereotypes. We thus share the exact same belief and character trait--after all, sufficiently fitting a stereotype is all that goes into holding a belief or having a trait. Now, you're absolutely right to draw attention to the fact that we might have very different styles of holding the exact same belief. On my view, this fact is best captured by belief attributors' use of more fine-grained stereotypes to capture the idiosyncratic manners in which different people hold what (considered from the perspective of a general-purpose stereotype) is the exact same belief. (I spend the dissertation chapter developing this notion of styles of belief, building off of some remarks of Ryle's.) One of the really nice things about an interpretivist/dispositionalist account of belief is that it can countenance both the occasional cleanliness and the omnipresent messiness of our diverse belief attribution practices. If this is right, then maybe you and Liz are both onto something. Thanks for that interesting and helpful comment, Devin! Maybe a measurement-theoretic analogy would be helpful. Suppose I say that the table is 1.3 meters long. I intend to be rounding to the tenths place. In fact, I just measured it as 1.2764 meters long. There's a sense in which saying that it's 1.3 meters long is exactly correct, and another sense in which it's not. If we set the bar of precision low enough -- in the belief case, that would be matching well-enough the dispositional stereotype -- then it's straight-up true and correct to say that rough, rounded thing: that the table is 1.3 meters long and that I believe there's a gas station on the corner. I heard Liz as committing to more precision about belief contents than that, but since it wasn't a central feature of her talk, it's possible that I misunderstood or that she was only speaking quickly/approximately, so I might be burdening her with a view that she would reject. I really don't meant the criticism to be specifically of her. Your view reminds me a little of Paul Churchland's view (in some places) where he claims that propositional attitudes are simply simplifications of a much messier report on the state of a large connectionist network. Being able to simplify that state is needed for communication, but by doing so we are shoe-horning all the messy details into the format of our language. I'm sure I'm doing a hatchet job of the view. Still, it sounds similar-- indeed, CNs might simply be the implemenation of the mechanism which gives rise to the dispositions you speak of. "Nicholle is new to town. . ."
Yes, Brandon, I'm broadly sympathetic with a moderate version of Paul Churchland's view, minus any strong commitment to eliminativism or specifically connectionist modeling. Thanks, Eric. The measurement-theoretic analogy is helpful, though I think it can mask the really interesting phenomenon that you've put your finger on. You and Nicholle both believe the same thing--even with the bar of precision set reasonably high--even though the dispositions that make up your respective beliefs diverge in striking respects. (In an altered case, you might even believe--and fit the general-purpose stereotype for believing--to the exact same degree, even though your beliefs comprise strikingly different dispositions.) There's only one manner in which objects are (approximately) 1.3 meters long; there are myriad manners in which people (approximately) believe there's a gas station on the corner. Depending on context, our belief talk (and thought) flexibly vacillates between general-purpose stereotypes and more specialized stereotypes that highlight particular styles of believing something. Descartes and Leibniz both unequivocally believe in God, but believing-in-God-like-Descartes is very different from believing-in-God-like-Leibniz. I might add that I prefer an analogy with metamers. Two objects (believers) with strikingly distinct reflectance profiles (dispositions) share the exact same color (belief)--when seen in a certain light. Is the problem that 'exactly what we believe' is too complicated/messy, so we settle for approximations, or is the problem that there's no fact of the matter regarding 'belief'? An important function of belief-talk is to troubleshoot various communicative issues affecting the coordination of behaviour absent access to any of the messiness responsible. On the approximation view, belief-talk plays the heuristic role of *simplifying* the messiness, whereas on the eliminativist view, belief-talk plays the heuristic role of *avoiding* the messiness. These are two very different kinds of heuristics. If belief-talk were the former kind of heuristic, then we should expect attempts to source beliefs in nature to be difficult, to involve rummaging through a lot of messiness. If belief-talk were the latter kind of heuristic, on the other hand, we should expect attempts to source beliefs, to find them in nature, to perpetually crash. Nature itself is what is being circumvented, and not simply the messiness of nature. I think the problem I perennially have parsing your position, Eric, is that you seem to affirm the first, yet presume the latter, to treat beliefs as if they're there, in the head somehow, and yet undiscoverable.